Traveling to the United States can be a huge hassle. Even if you’re an American citizen, Customs and Border Protection (CBP) can pull you aside for extensive and invasive “secondary screening.” And by all accounts, this process has gotten worse since Donald Trump was elected. But it was horrible even before Trump gained power. How horrible? I filed a Freedom of Information Act request (FOIA) back in April of 2016 for complaints lodged by average people against CBP. Specifically, I was interested in traveler complaints filed with CBP for searches of electronic devices during border crossings. So I asked for precisely that. And a year and a half later, I finally got some of the complaints. Exactly 163 pages worth, stretching back two years. The complaints listed below are just a tiny fraction of the total complaints Gizmodo received through FOIA, but they represent the frustrating experiences many people have had with CBP. Gizmodo plans to release more complaints in the future. The average person, even American citizens, has virtually no rights at the border. And nothing illustrates that better than a CBP agent sifting through your phone (or even just confiscating it for months) while you have to sit there and let them do it. CBP can look through all your private photos, all your private messages, and anything else or your devices without any excuse at all. If you’re a citizen of the United States and you refuse to unlock your phone for a CBP agent they may confiscate your phone, but they can’t deny you entry to the US. Everyone else is more or less out of luck and can be refused entry. It’s notable that many of the complaints Gizmodo obtained were filed by third parties on behalf of friends or family who feel they were treated unjustly by CBP. And it goes without saying that most people who go through these experiences never file a complaint. They’re just happy to be over with the experience. As the Electronic Frontier Foundation points out, the number of invasive searches of electronic devices has skyrocketed over recent years, going from 4,764 in 2015 to 23,877 in 2016. And with the Trump regime getting even more aggressive, Columbia University’s Knight First Amendment Institute filed a lawsuit to give the public information about just how invasive CBP’s searches were. The information they obtained about 2017 searches through FOIA was redacted far beyond what we obtained, probably because they’re internal reports written by CBPS agents rather than complaints lodged by members of the public. Again, things just seem to be getting much, much worse. But you probably would’ve guessed that if you’ve been paying attention to the rise of Trump and his wink and a nod to the police state that gains more power in the United States with each passing day. All emphasis below is mine to highlight the search and seizure of electronic devices, but many other aspects of the stories below are even more frightening than having your digital life exposed to government agents for no good reason. Best of luck out there, folks. We all need it. Hi, I’m a U.S. citizen. The reason for this complaint is because my sister came to visit me from El Salvador, she is a 22 years old pretty looking Latina, a honor accounting student at Universidad Centro Americana (UCA) El Salvador and also a business entrepreneur. On August 13th 2015 around 6:45 to 7:00 pm at Miami airport she had a such a bad experience with a cbp officer mid 30s, wavy/curly hair, light skin last name Z. This officer had a horrible attitude towards her without any apparent reason. He was talking to her in a hostile and abusive way. At some point he asked for her cell phone and without any permission from her he went through the phone checking all her pictures, facebook page, and whatsapp conversation one by one reading all the messages. When he saw whatsapp conversations with males he kept asking if any of those was her boyfriend. At the end he asked her if she had any boyfriend here in the U.S. making her feel awkward. She felt abused of her private and personal life. To me as her brother thats abuse of power from [redacted] to check someone else private conversation and picture from their cell phone. I feel [redacted] proceeded on a unprofessional way somehow malicious and perverse towards my sister. Therefore i feel sad and hurt that this great country has some officers with that grade of unprofessionalism because i strongly believe that more people like me feels the same towards [redacted]. I hope this complain puts some action against [redacted] behavior. Thank you. I had a friend that was applying for a pass to travel from Mexico in the U.S. . Doing the process the officer asked if she have a cell phone and she responded yes. Then he told her to give him her cell phone. Then he proceeded for the next 20 minutes to go through her cell phone checking her personal message, Facebook, and photos. He quizzed her on the different events and photos that she had in her cell phone. At the end of this process she were approved for her pass to travel. But she call me up to tell me about the event and she felt like she was violated and she was very upset and afraid. She did whatever the guy said do because of fear that he might take away her visa. I would just like to know is this a common practice and part of the US customs normal procedure? She had photos in her phone that was not meant for the public! This event happen and El Paso, Texas at the custom office in downtown El Paso. HI, One of my friends went through the CBP at Dulles international Airport few days ago. Upon her arrival, she told me that they had searched her bags and belongings which I understand to be legal. However, they also had searched her phones and personal text and photos which I feel is a violation of civil rights. Just because she had texted me that she was with the CBP, they had called me asking why I had “coached” her about what she should say. 2 years ago she had been accused, because of the way she had dressed, of being a prostitute by the same people at CBP. I had to explain to them that she was visiting for travel but also because of religious reasons. So this year I told her just tell them you are going to travel while your staying with me which is true. We also practices religion native to Asia (Daoism) they laughed at her and accused us of being suspicious and threaten to put her in jail. They had made personal remarks because I, as a female, had a male roommate and was not involved romantically. Just because they had not heard of our religion they belittled her and mocked her status, her reason for being in America. I feel strongly as a US Citizen that even though one may not be a citizen, one is protected under the law of the land. And that to be treated unfairly as such violates some sort of a law. I feel that her privacy was violated (most people need warrants to have their phones searched), and that she did not feel her religious views were respected, a violation of religious freedom. They thought she was suspicious because of her traditional cloths (Korean HanBok). Though the inspector was Korean himself, He did not provide his name or refused to answer my question about what CBP stood for. Until I requested to speak in English, which I am proficient in, that he told me what it stood for and told me he had nothing more to ask and hung up abruptly. I am a proud American citizen and had been educated by this very country of the rights and the freedom which it offers to all the people who step on this soil. I support all those who serve to protect this country to protect these rights and freedom which is not free. I as a Korean- American know well of these fact and am proud of what America has done for Korea. However, to be treated as such for having to practice religion freely and be humiliated by such an individual who is of same ethic origins has surprised me very much. I have a friend who is working in CBP and has informed me that such treatment is a violation of civil rights and liberties and had told me to file a complaint. I don’t wish the officer harm but I wish to know if this indeed is how CBP treats those who enter the united states, guilty until proven innocent. I am hoping that this is only a isolated incident and will file a formal complaint when this happens again next time. Unfortunately by the attitude of the officer and the likelihood of my friend’s future visit, it is not something I am looking forward to. I hope in an indirect way this helps prevent future mistreatment. I also hope that this letter does not discourage the wonderful officers who do a wonderful job at CBP who serve to protect the nation and the ongoing crisis we face with ISIS and terrorists. We refer to the baggage inspection to us at Los Angeles International Airport on 23th May, 2015. We are a group of 4 common Chinese people who came to USA on 12 May 2015 for travelling and also for a powder materials exhibition in San Diego. Before we got on the plane (Airline: UA198 13:00) back to China at the boarding gate of Los Angeles airport, some officers forced to take some devices away from us, including 2 laptops, 5 pieces of IPhone, 1 camera and some customers materials from the exhibition because of “ suspecting of lying on the travelling purpose “. The officers maintained the devices from our cases before we knew that and let us get on the plane in a hurry before the plane took off. We did not know what was happening but complied with all the officers said. They also said the goods will be returned to us in a couple of weeks and cannot provide any contact to us. Needless to say, we have suffered a great loss from this, not only the direct economic losses, but also the important business materials to us and without the phones we have much inconvenience in our daily life. Now more than two months has passed by, we still do not get any news updated or anything returned back. We ask you to conduct this investigation and reply to us as soon as possible and do look forward to getting our property back soon. At the Dulles airport in Washington D.C., I was supposed to have a layover of 4 hours to my lest flight. However when I landed in Washington and passed immigration, the immigration officer decided I should be inspected because I responded to have 6,300 USD with me for the purpose of my trip. Every officer that approached me that day found 6,000 USD to be a lot of money and I needed to be inspected further. There was a TV programme being filmed that day at the customs border and I needed to wait in a very long line for over two hours. I asked to one of the officers to please help me to be inspected because I was going to miss my connection flight and it was the last one that day. Nobody seemed to care and they took as long as they could possibly take. When someone finally helped me they made me go to inspection with two officers, a lady and a guy. They were both very rude to me and asked several times what do I do for work. I responded what I do and they said I was lying because I look too young. I showed them my business card and they didn’t want to believe it. They decided to check my handbag and made an absolute mess with it, putting all the contents outside and checking at my money. When they found the money they started asking questions about how I was supposed to spend that huge amount of money and why do I carry so much. I explained as a doctor I get pay really well and I like to carry some cash with me to spend in things I like, as handbags, shoes, food, entertainment. I don’t usually like to use credit cards as they are a hazzle and I though 6,300 USD it is not a huge amount, considering that if I carry over 10,000 USD I need to declare them. They checked my phone, which I found it really disrespectful and also the photos on the phone and started asking me about the photos and emails. I was really disturbed and affected with all this. Never in my life I have been treated this way and I travel a lot. They stopped me until they wanted, making me wait there for another 45 minutes until I was finally real eased and they said I was released because “they could not find anything to relate me to crime”. What is that suppose to mean? I am writing because I would like to clarify of I should not bring any more money into the US because I will be inspected this way every time I visit, and because I would like to let you know I am not happy with the misconduct of the personnel of the US border. It was rude, disrespectful and discriminatory. Because I am a woman travelling alone and I look young (and I am 39), and because they considered I should not travel with that much money on me. Hope you can understand my feelings. I am sure you get different complains every day and some of them may seem a lot more difficult and deep than mine, however I think every opinion counts. This is a very diverse country and people are really nice, but some of the people, specially those who deal with travellers, should be more open minded and nice. There are nicest ways of asking questions. On 23 September 2014, at/about 0700, my wife, [redacted], and I were crossing the Peace Bridge from Canada to the United States. We stopped at the checkpoint and began interacting with a CBP officer (Her name and badge number are unknown, when we later asked for that information we were told to file a FOIA request. She was a Caucasian woman, mid thirties, about 5'7", brown hair, brown eyes; I’ll refer to her as CBP1). CBP1 asked us our citizenship, where we had been, what we were doing there, where we were going, where we lived, etc. CBP1 then asked where my truck was registered. I told her Florida. CBP1 asked why it was registered there. I responded with, “Because I used to live there.” There was a brief silence, and CBP1 said, “You know, Normal People wouldn’t have a vehicle registered in one state while living in another.” I asked what she meant by that, and if she was saying that I wasn’t a normal person. CBP1 started raising her voice and said, “My job is to ask questions, yours is to answer them. So just answer them.” CBP1 asked me again why my truck was registered in Florida, I responded with the same reply and also began recording the interaction on my cell phone. CBP1's immediate reaction was to tell me that I was not allowed to record there. I asked her why not. CBP1 didn’t give me an answer other than, “Because I said so.” I told her I had a right to record a conversation with law enforcement that I thought was harassment. At this point CBP1 called in some code on her shoulder radio, then pulled out a wheel chock and tossed it under my truck, demanding that I turn off my vehicle and hand her the keys. I did so. As I did, the officer at the next booth (a large/heavy-set Caucasian man, mid-thirties, about 6'0", about 270 lbs, short/balding hair; I’ll refer to him as CBP2) came over to “assist” the first officer. When CBP2 got to the vehicle, he demanded I step out. I handed my wife the camera, then I complied. CBP1 told me to walk to the back of the truck, I complied. They both began yelling questions at me, to which I didn’t answer. At this point, I realized they were probably going to arrest/detain me, so I decided to invoke my Constitutional Right to remain silent. CBP2 ordered me to put my hands on the truck, I complied. CBP2 then slammed me against my truck and told me “this way” in reference to how he wanted me to put my hands on my truck, apparently I had been doing it wrong. CBP2 asked if I had anything sharp in my pockets that would hurt or poke him, I didn’t answer. CBP2 again slammed me against the truck and proceeded to put handcuffs on me behind my back. I asked what I had done to deserve this treatment. I asked them if this is how they treat US citizens coming back to their home country. If this is how US veterans get treated coming back to their country. More CBP officers were surrounding my vehicle at this point. One in particular had put on latex gloves and was shaking a canister of mace/pepper spray. I asked why he was prepping the mace spray, and if I was somehow deserving of getting sprayed for complying with everything they demanded. Three officers, not CBP1 or CBP2, then grabbed me and ushered me into a building. One of them told me nobody was planning on macing me, to which I asked him why the other officer was prepping the can. I then heard CBP2 yelling at my wife to get out of the vehicle. I asked Officer [redacted] (this is the only CBP officer’s name I actually got) what they were yelling at my wife for. I pleaded with him to go check on her (knowing my wife, there was no possible reason for CBP2 or any other CBP officer to confront her in that manner) and make sure they didn’t hurt her. After the way CBP2 had just treated me, I was justifiably terrified of what he would do to her. Officer [redacted] tried to reassure me that she would be fine, but nobody actually went to make sure. As we entered the building, I asked Officer [redacted] to remove a POW/MIA bracelet I was wearing because the cuffs were causing it to cut into my skin. He did and placed the bracelet next to me. I thanked him for that. The officers sat me down on a chair. As I waited, CBP1 along with two other officers walked my wife past me. She was also in hand cuffs. Over the next 30 minutes or so, they pretty much left me alone in that room, hands cuffed behind my back. I could see through a window some CBP officers discussing the situation. The officer in charge (tall Caucasian male, 40/50s, about 5'11", slim build; I’ll refer to him as CBP3) came in with CBP1 and told me that I was being detained because I failed to answer CBP1's questions, for failing to comply with her orders, and for getting belligerent with her. This was a flat out lie, and I asked CBP1 what question I didn’t answer and what order I didn’t follow. I told her that she didn’t like the fact that I questioned her disrespectful comments. CBP3 then told me that I was also not allowed to record anything here. “Here” being in reference to the border check point. I asked him under what authority, and he pointed to a sign on the wall behind me, on the inside of the building. I asked how he thought anyone could see that sign from inside a vehicle at the booths. I asked if there were signs out there that indicated the same thing. He didn’t answer. They eventually took the hand cuffs off and left me there again. About 10 minutes later, my wife was allowed to join me. We sat there for another 20 minutes while they “discussed the incident and what to do with us.” There was nothing for them to do seeing as how we are both American Citizens that hadn’t broken any laws or regulations. CBP3 came back in and told me that if I just answered a few questions, they would let us go. He asked the same questions that CB1 asked at the booth over about an hour prior. I answered them, and he told me that “that right there is why you’re in this situation,” referring to the tone with which I replied. I asked him how he expected me to reply after being unjustly detained. How should I reply given the treatment my wife and I experienced? CBP3 returned our passports and my cell phone, which they said they had copied. I would like to know why and how I can get my information back. I would like to know, FOR SURE, that the CBP/DHS doesn’t have a copy of all of the personal information that is on my cell phone. We were then released to our vehicle, which was “thoroughly searched.” All of our property was in disarray. I’m assuming they were looking for something to justify the treatment we received. There is NO JUSTIFIABLE REASON for any of these actions. I absolutely want some kind of resolution to this. I will be following up on this report. And I will be contacting my Congressional representatives on this matter as well. The treatment shown to two American citizens, one of which is a military war veteran, that hadn’t done anything wrong was deplorable. My complaint is regarding my experience when I arrived to cross the border. When I gave my Visa to [redacted] he asked me a question, -where are you going? I replied - to McAllen, Texas for shopping. The Officer asked me very quickly – How much money do you have? I replied - $1,000. He quickly made a verbal accusation that I was going to work in the US. I replied that – No. And, he reaffirmed his accusation saying that –Of course, you are going to work. Then he said –we need to search, park in lane #3, then the other officer that was with [redacted] told me to step out of the car for a search and to show them everything I am bringing in my bags and my wallet. Officer Rodriguez asked me if I have a cell phone; I replied – yes. He asked me -where is it? I said - it is in my car. He went to my car and began looking for my phone; then he order me to go inside some office where the officer kept checking my cell phone and placed it under a plastic box and asked me questions where he affirmed that I was working in the US; and when I denied his accusations; he screamed and ordered me to enter another office where they handcuffed me to a chair. The other Officer came in and was making fun of me saying that they will take my Visa; and saying that I was not going to win over them. They spoke with the contacts I have in my phone – my family and friends- and told them that I said, that I was going to work with them. Then, they took me to a room that looks like a cell; they searched me physically, and then returned me to the office where they again handcuffed me to the chair with the handcuffs very tight; there they left me approximately 40 minutes. Later they allowed me to cross demanding that I go back where I came in and see who asked me more questions after I pay the fee to cross the bridge to enter my country – ordered another search and again checked my cell phone, hiding his hands under my vehicle wheels; and I noticed that he deleted my friend’s messages, then said that it is not normal that a person like me carry a $1,000; I feel that his comments were discriminatory and offensive. I am writing to complain that your agents at the border on this particular day were condescending and very rude. As a US citizen, I have traveled to more than a dozen countries, and I have never been treated worse than this. My car was searched at the secondary inspection point and the engine compartment was not closed like the officer had met it. I gave the officer our US passports and he still asked us what nationality we were. I do not believe that it is a crime to have a foreign accent while carrying a US passport. I do not believe that your officers at this check point truly portray a true image of a welcoming society the United States is. I will also like to know if the agents searched my cell phone. This contains patients’ information and I will need to notify my patients based on HIPAA rules that their privacy might have been violated. I arrived into EWR last night from LHR, I was taken to Secondary Security where I was made to wait for 1.5hours with no explanation of why I was there. I was then told that I had previously over stayed by one day - months prior, this I now realise to be incorrect as I am on an ESTA which allows 90 days and I arrived 5th Jan 2015 and left 3rd April 2015 meaning that was under 90 days. I then got repeatedly questioned saying I can’t keep coming back and forth and I have the incorrect paperwork - I have a valid ESTA, I don’t stay for more than 90 days and I go back to London for 90 days after each trip, I don’t work illegally or get paid by a U.S. company, I only attend client and sales meetings which under ESTA laws are permitted. She told me I’d need a proper visa to return which I don’t understand? The worst part of this all is that the CBP officer took my personal cell phone and proceeded to go through all of my personal pictures looking at them all and asking me personal questions unrelated to why we were there, she then went through and read all of my text messages! My private conversations with loved ones and friends. I’m pretty sure this isn’t legal when I haven’t been suspected of anything dangerous?? I feel seriously angry and violated by this infringement on my human rights. As you can probably guess, these complaints were addressed with standard cut-and-paste “sorry about your bad experience” messages. · Anything you are bringing back to the United States that you did not have with you when you left. We may also examine your baggage, including electronic equipment, or your car, which we have the legal authority to do. If we are checking your baggage, you will need to place it on the exam station and open it. (After the exam is completed, you will be asked to repack and close the baggage.) If at any point you are unhappy with the way you are being treated, ask to speak to a CBP supervisor. 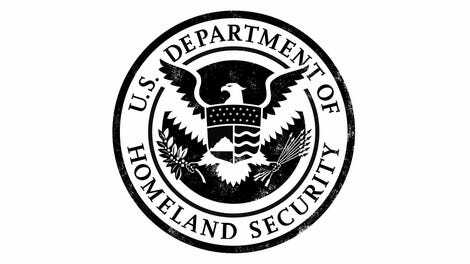 The authority to delay and speak with travelers derives from the United States Code (section citations below) enables CBP to prevent the entry of persons who are inadmissible under the Immigration and Nationality Act, and to prevent the smuggling of merchandise, including narcotics and other contraband items, into the United States. Speaking with travelers and examining merchandise coming into or leaving the United States are some of the ways we look for illegal or prohibited items, and to determine whether or not someone is trying to enter the U.S. for unlawful or fraudulent purposes. Unless exempt by diplomatic status, all travelers entering the United States, including U.S. citizens, participate in routine Customs processing. At times, people make the mistake of thinking their civil rights are being violated by being asked questions about their trip, personal background and history, etc. The Supreme Court decisions have upheld the doctrine that CBP’s search authority is unique and does not violate the fourth amendment’s protection against unreasonable searches and seizures. However, with this authority, CBP expects all of its officers to conduct their duties in a professional manner, and treat each traveler respectfully. The exact legal citation for our search authority can be found in Title 19 of the United States Code, Sections 482, 1467, 1496, 1581 and 1582. All persons, baggage, and other merchandise arriving in or leaving the United States are subject to inspection and search by CBP officers. Various laws (including 8 United States Code (U.S.C.) 1357, 19 U.S.C. 482, 1581, 1582) enforced by CBP authorize such searches. 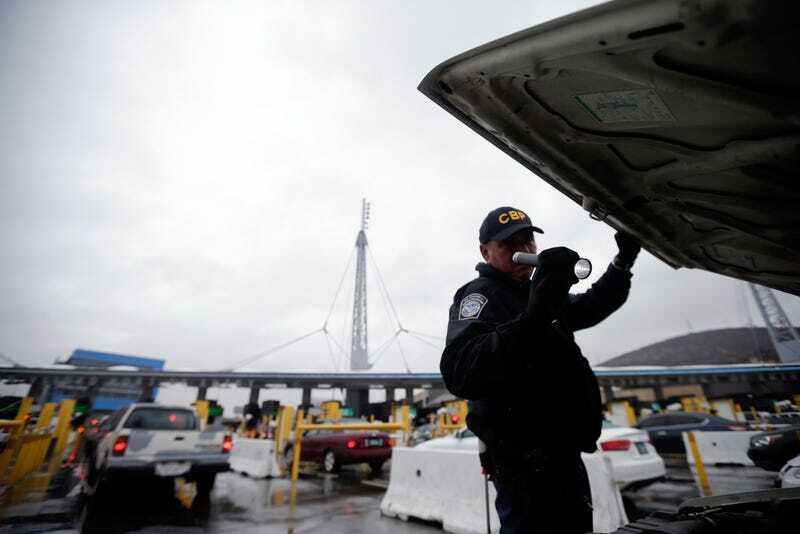 As part of the inspection process, CBP officers must verify the identity of persons, determine the admissibility of travelers, and look for possible terrorist weapons, controlled substances, and a variety of other prohibited items. So, yeah, Americans and the rest of the world are out of luck if they want any privacy at all on the US border. And it’s just going to keep getting worse.